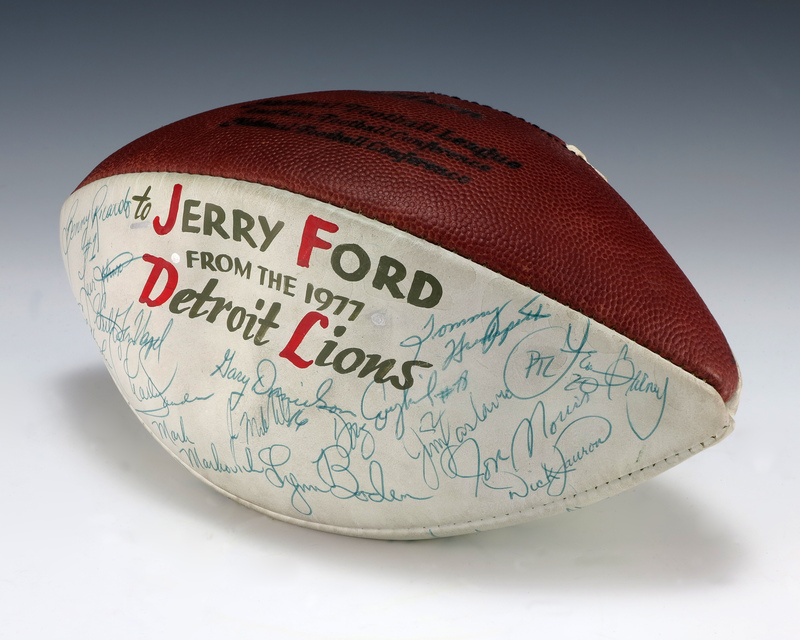 A brown and white leather football that reads "to Jerry Ford/ From The 1977/ Detroit Lions" in black and red print. The football has been signed in ink pen by the players of the team. There is additional black print from the makers of the football on the brown portion of the ball.